Only 200 pieces available on Tsume-art.com, all signed by the artistic team. Naruto Uzumaki, from the Naruto Shippuden franchise. X-tra by Tsume collection. 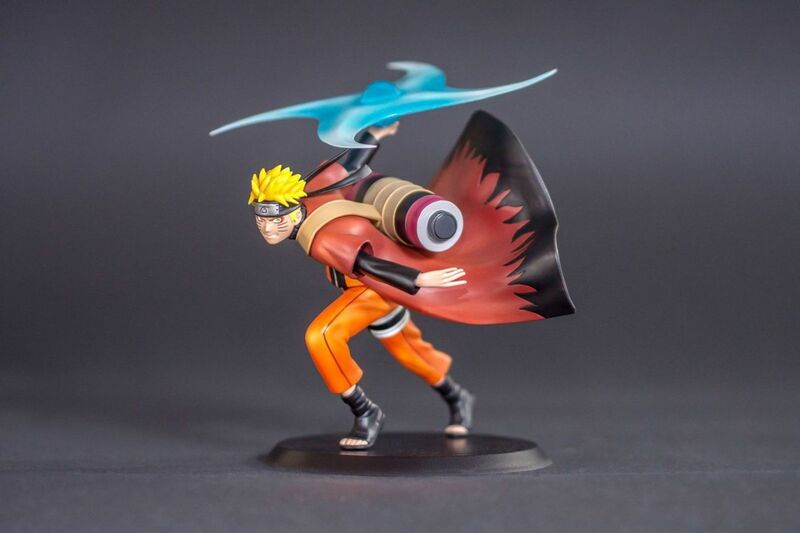 One Naruto figure, his Fûton Rasen Shuriken attack, his base and his box. Naruto is set running, bent. His face displays his natural determination not to let his friends suffer anymore. His arm is up, preparing one of his most famous attack: Fûton Rasen Shuriken. 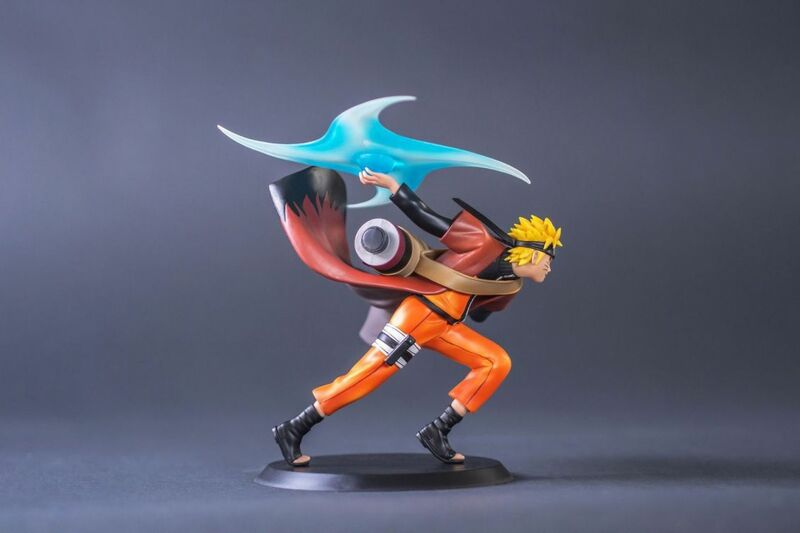 The sculpt of the Naruto figure is full of details and the character is set in action and highlighted by the precise textures. By alterning glossy and mate, skin and haircut or the chakra texture in the shuriken, this figure is a high end piece of work whichi will make the most demanding amateurs. 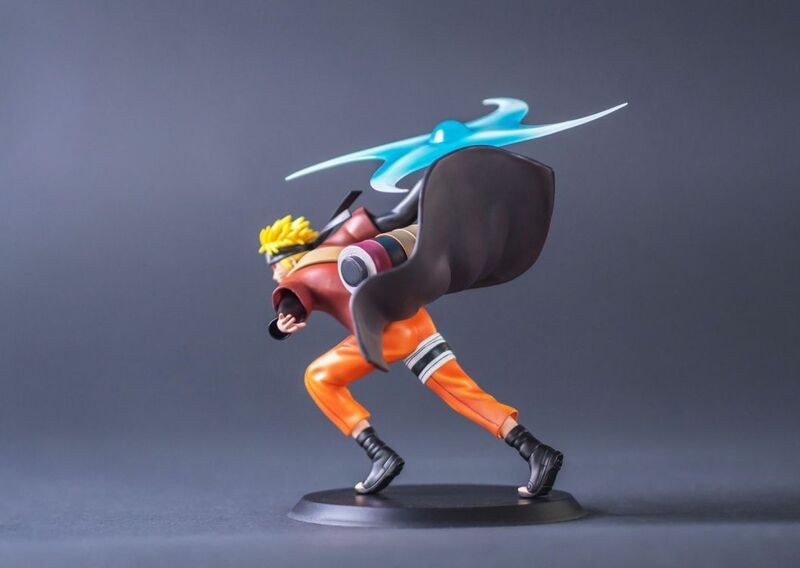 Our biggest challenge with the X-tra by Tsume range was to create an affordable product yet keeping a very high level of sculpt.Thus, Naruto's face has been very carefully worked on so it would be accurate and very expressive. Generally speaking, our X-tra by Tsume figures keep a very high level of sculpt, even parts where ones might not be as cared like toes. All our X-tra by Tsume figures have a sober and classy black base. Naruto's posing is an invitation to display him facing Pain.